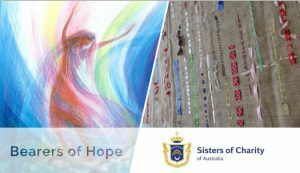 Sr Linda Ferrington, Chair of the Implementing our Chapter Mandate Steering Committee, advised that the ICMSC had its inaugural meeting on 30 and 31 March, 2017. • Exploring our understanding of the Terms of Reference provided by the Congregational Leader and Council. • Reflecting on how we envision the mandate of the Chapter coming alive within each of us. Communicating with the sisters via a special Congregational News editions after each IMCSC meeting… website story where appropriate, Facebook link where appropriate. • Exploring the various technologies that will enable sisters to contribute to the journey towards the Mid Chapter Assembly. For the newsletters from the ICMSC, please click on this link. Here is the ICM structure which will be working towards the gathering next year.